A.E Gibson and Sons is a fourth generation family owned engineering business. We trace our roots back to the late 1800s, making us the oldest and most experienced sawmilling equipment supplier in Australia. The company is located at Kendall on the mid north coast of New South Wales, once the heart of Australia’s native forest industry. Arthur Gibson was a qualified marine engineer who began servicing the local fishing fleet and the sawmills surrounding Kendall. In the 1920s Arthur’s son Mannie became involved in the business which centred on the timber industry, culminating in Australia’s first riderless log carriage in the 1960s. In 1971 Mannie retired and his two sons Mac and John ran the business until 1979, when John assumed sole ownership of the company. Under John’s leadership the company was actively involved in developing new products and more modern equipment, providing a solid foundation for steady growth. In June 2006 John retired, leaving control to his four sons. In the past decade Gibson’s has emerged as one of Australians leading manufacturers of hi-tech timber processing equipment, awarded contracts to supply machinery and sawmills to Fiji, PNG and New Zealand. 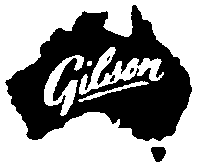 Today, Gibson’s has two manufacturing centres and boasts an active management team controlling sales, product design and production. Gibson’s are committed to achieving client satisfaction through research, development and continual upgrading of our products and services to maintain the highest possible quality. Our goal is to supply our clients with a quality product, at a competitive price and within the agreed time period. Allied Natural Wood Exports (ANWE) is a world class wood products export marketing and logistics company. ANWE concentrates on the export of woodchip and other wood products to the international market, including certified natural and plantation grown wood products from public and private growers. Drawing on a wealth of experience in the Forestry Industry, our goal is to enhance and improve the way that wood product exports are managed and marketed in Australia. In the longer term, ANWE sees hardwood and softwood plantation development, new wood processing technology and innovation as the key strategies for the future. We will be actively exploring these new opportunities to develop our business along the far south coast of New South Wales and throughout Eastern Victoria. ANWE is partnering with an established Australian logistics business, Australian Marshalling Services Pty Ltd, a trusted and well-known forest management provider which has been operating out of Eden for nearly 20 years. This partnering allows ANWE to reduce costs and help drive efficiencies from planation management to harvesting, haulage, chipping and shipping of the final product. Established in 1889 on its present site, Arbuthnot Sawmills has played a major role in the social and economic viability of regional areas of both Victoria and New South Wales. A far cry from the days of steam power and heavy manual work, today the saw mill is a modern timber processing plant with automatic equipment producing a range of bridge and rail timbers, house stumps, fence posts, drop bars, fence droppers and survey pegs. Residues are important sources of chips for garden mulch, mill ends for firewood and sawdust. In 1994 the mill added a kiln drying plant to value add to the Redgum timber resource. With kiln dried timber readily available, a small furniture industry has developed in the region. Kilned products include furniture timbers, flooring, panelling, architrave and skirting, decking, parquetry, laminated bench tops and bark to bark slabs. Arbuthnot Sawmills established a tourist walkway through the mill in 1998, providing safe access to view the processing of raw logs into high value furniture and a range of other Redgum timber products. With over 110 years in the timber industry, Big River is now one of New South Wales’ largest timber manufacturing and marketing businesses, servicing all Australian States and many international projects. Big River has a fully integrated position in the timber market, from the sourcing of logs from State Forests of New South Wales right through to the sale of the finished product to the final end customer. Big River adds more value per cubic metre of log throughput than any other operation in the NSW hardwood industry. Established as Australia’s leading formply producer, with a wide range of locally-made softwood and hardwood formply products, Big River’s range also includes decorative timber products. Manufacturing operations are headquartered in Grafton in northern NSW, employing 160 local people. The modern rotary veneer factory is Australia’s only processor of hardwood timber, meaning the specialty formply and all eucalypt plywood products are truly unique. A range of engineered hardwood flooring and decorative panel products capture the beauty of Australian hardwood thanks to the highly efficient use of this precious resource. Big River provides customers with the security of a full support network, and technical expertise at every stage of the product lifecycle. 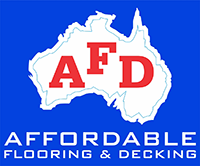 The company owns and manages sales and distribution outlets in Sydney, Brisbane, Townsville, Melbourne, Sunshine Coast and Perth, servicing the construction and building industry as well as the manufacturing sector with a diverse range of timber products and other associated construction materials. Big River recognises that sustainability is a fundamental factor in its longevity. A key component of company policy is maximising the value extracted out of every log processed. This flows through to impact on our strategies for sourcing, manufacturing, marketing and energy usage. In June 2007, Big River acquired Ausply in Wagga Wagga. Ausply manufactures a broad range of plywood and veneer products. The raw material is sourced from plantation Radiata Pine, a renewable log resource in Tumut, NSW. Coffs Harbour Hardwoods has been supplying timber products around Australia and overseas since it was established in 1961 by timber merchant and world champion axeman Ray McCarthy. The company had its beginnings as far back as the 1850s when pioneering and Cedar getting was the mainstay of many north coast families. Now, this involvement with timber encompasses the fifth generation and includes diverse products such as the famous Red Cedar for furniture, building products like timber flooring and decking, as well as piles and structural hardwoods for wharf developments and bridges around Australia and overseas. Power poles for the electricity distribution industry remains a major product line. Coffs Harbour Hardwoods takes its environmental responsibility very seriously. We recognise our responsibility to meet community expectations and are committed to continual improvement in environmental performance. Grants Sawmilling specialises in Australian cypress products, which have been used for building applications from the days of the earliest pioneers. The company originated in Lake Cargelligo in 1965, going on to purchase the Ganmain Sawmill in Narrandera in the early 1970’s, where it still operates today under the original licence issued in 1918. In 1979 the family also purchased the Condobolin mill, which has now been operating for over 70 years. Australian cypress, also known as Cypress pine or Murray pine, grows only in Australia from the Murray River in the south to central Queensland in the north. Grants control all processes from cypress forestry through to the processing, kiln drying and eventual delivery of the finished product to our clients. Cypress remains one of our premium building timbers, suitable for a wide range of interior and exterior applications including flooring, structural timber, flooring systems, cladding, furniture, feature fencing, decking, glue laminated products and a range of landscape products. In recent years Grants has expanded its export markets, including Japan, the United States and Europe, as international buyers come to recognise the unique qualities of cypress. The Hurford Group was founded in 1932 when James Hurford was stood down from his job as a foreman/carpenter with the NSW Railways during the great depression. Together with his brother, he went into business renovating and lifting houses in the Lismore region. By utilising the sawmill’s machinery and labour, James had achieved a competitive edge. He saved enough to purchase his own planing machine and began purchasing more local timber. He went on to produce flooring and other hardwood products for sale. His innovative approach of value adding set a course for the Hurford name to grow steadily and strongly in both timber milling and retail over the next seven decades. From these humble beginnings, the facilities have been ever expanded to rank solidly alongside both Australian and International competitors. The Hurford Group now uniquely spans multiple tiers of industry, as a primary producer, manufacturer and wholesaler. Now a major local employer, Hurfords are committed to continually developing new procedures and upgrading milling equipment to enhance performance of our products in the market place as well as the development of new products to complement our existing range. Today the Group Consists of Hurford Hardwood, a state-of-the-art drymill value-adding facility at Tuncester; Hurford Forests, which owns and manages 5000 acres of forested land; and Hurford Sawmilling in South Lismore and Casino. Hurford Hardwood manufactures a wide range of timber products from a diverse selection of indigenous Australian hardwoods. Each log is individually sourced under strict conditions established by the Department of Primary Industries to minimise environmental impact and ensure ongoing resource sustainability. All Hurford by-products, such as sawdust and woodchip also become valuable resources utilized by local regional businesses. Hurford Hardwood is committed to our forests, our community and our future. Underpinning our commitment is an ambitious hardwood reforestation project in the local area where we have purchase over 5,000 hectares of land and have commenced a planting program that will see more than 25,000 new plantation eucalypt saplings established each year. With careful management, Hurford Hardwood aims to commence ongoing sustainable harvesting of these plantations within 25 years. Ironwood Australia is Australia’s leading supplier of reclaimed, recycled and architectural Australian hardwood timbers. Whether it be ironbark, Tallowood, Blackbutt, Mahogany, Grey gum or Spotted gum, Ironwood Australia supplies recycled timber sourced from wool stores, deconstructed bridges, warehouses and railway lines. We are an Australian, family-owned company with a Sydney showroom located five minutes from the CBD in Rozelle. Our mill is located at Pampoolah, just outside Taree, ensuring we mill timber to exact specification and deliver on time and on budget for both residential or commercial projects. Ironwood Australia can also finish the timber with a range of finishes. A major advantage of using recycled hardwood timbers are the positive environmental effects, including conservation of old growth forests, increased carbon storage and lower greenhouse gas emissions. These recycled timber products can then be re-used to create unique in a wide range of applications. J. Notaras & Sons has been sawmilling in the Grafton region for 57 years. Known for our production of high quality hardwood flooring, our processing plant is a progressive operation committed to sustainable forestry. The mill currently utilises 24,000 cubic metres of logs producing approximately 8,000 cubic metres of sawn timber per annum. Notaras Timbers adds $2.5 million annually to the economy of the Clarence Valley Region. Koppers is the leading name for high durability treated wood products in Australia, South East Asia and the Pacific. We specialise in supplying treated wood products for rural, domestic, commercial, civil, industrial and utility industries. Generally our products are used in situations where high durability is required. Hardwood & Softwood Utility Poles; telecommunication & electricity transmission Hardwood & Softwood Piling; marine piles, bridges, and foundation piling Koppers Logs; retaining walls, landscaping, rural fencing, vineyards Building Poles; houses and light commercial Alternative Poles; engineered poles combining other materials with timber. Our people are internationally experienced, highly qualified and focused on meeting customer and consumer needs. Koppers is a company committed to value creation and the growth of wood product solutions throughout our region. Established over 100 years ago, S. A. Relf & Sons is an award winning family business and recognised industry leader throughout NSW, Victoria and SA. The driving force of the Newells Creek Sawmilling company for many years was Royce Dorney, managing director between 1972 – 2009. Three of his four sons now run the company, the fourth generation of the family to do so. The company is firmly committed to providing the highest quality flooring and decking solutions at competitive prices. A diverse range of hardwood flooring is expertly cut and treated to expose the beauty of the grain and carefully seasoned using our trusted kiln drying techniques. SA Relf can supply high quality local timber to suit a wide variety of different uses, from building grade timbers, pallet timbers, commercial, decking, fencing and mining timbers. Timber merchants since 1921, Sweetmans have a huge supply of timber, ready to be cut to your specifications and requirements. From timber decking to garden sleepers, sawdust and wood chips, Sweetman’s has the full range of timber products, including different finishes and oils. Australian owned and manufactured with a better than zero carbon footprint, Weathertex‘s external timber cladding is the ideal solution for any builder, architect or designer in search for environmentally conscious and high quality material. Weathertex’s manufacturing facility was founded in 1939 in Raymond Terrace. Significant capital investments in the factory over many years continue to support ongoing production, improve painting facilities and introduce modern computerisation systems. All Weathertex products are made in Australia from, PEFC certified state forest or private hardwoods without any chemical additives. Weathertex Weatherboards are guaranteed not to rot, split or crack for 25 years.